Angelina Jolie and Brad Pitt were married on August 23rd after 9 years and 6 kids together. This week, two major weeklies, People and Hello! 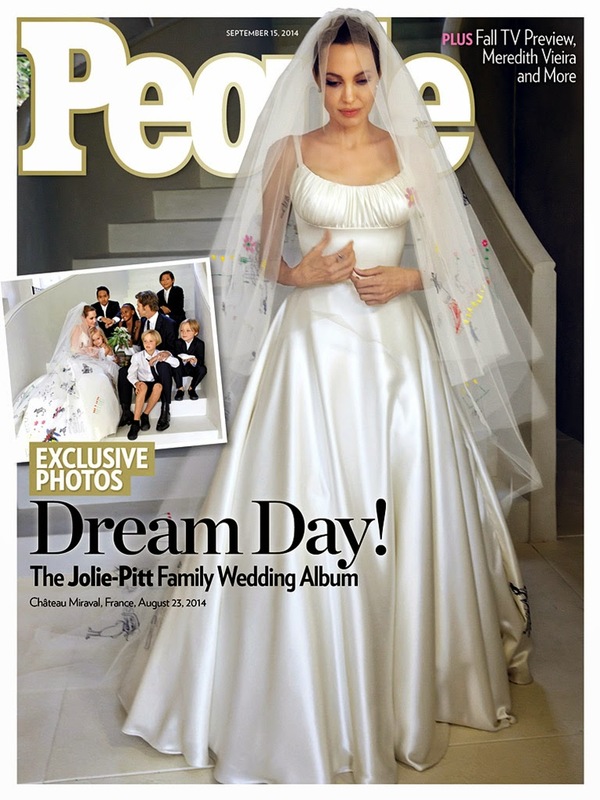 are featuring her custom Atelier Versace wedding gown on the cover. 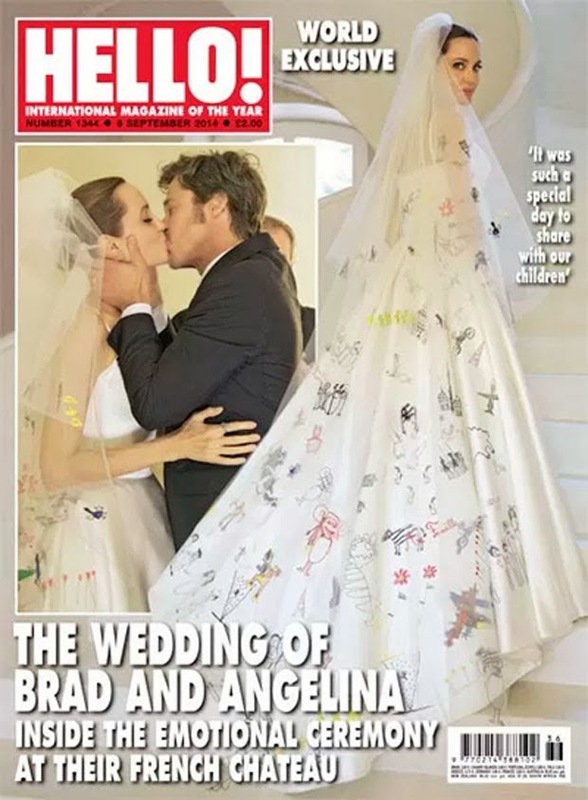 To be honest, I loved that Angelina and Brad got married under the radar. I think they shamed most of the fame whoring celebrities who have walked (or are about to walk) down the aisle in recent months. And while I was excited about the nuptials, I had no interest in seeing her wedding dress. I'm not really a wedding dress person. Is it weird that the only thing I like about it, is the veil with the children's drawings on it? I don't think that art was needed along the back of the dress. But it is unique. And colourful. Her kids probably loved it. lol...am I the only one who hates this look. NOT FEELING IT AT ALL.